For $799 Package: Essential drone accessories, remote control without a display, 4 pairs of propellers, 1 intelligent battery. For $999 Package: Essential drone accessories, charging hub, remote control with display, 3 intelligent batteries, 6 pairs of propellers, battery to power bank adapter, and travel bag. Just as earlier speculated, DJI finally unveiled the hugely anticipated Mavic Air on Tuesday at an event in New York. Even though their line of drones mostly falls on the upper side of $999, DJI still continues to hold the largest share of the consumer drone market. Besides the DJI Spark, which currently goes for $399, newly out Mavic Air is the only other drone from DJI you’ll get for less than $999. There’s no doubt that the Mavic Air attempts to get a middle ground between the DJI Mavic Pro and the Spark. For instance, when it comes to size, the Mavic Air appears slightly bigger than DJI Spark but a little smaller than Mavic Pro. Also, it weighs 420 grams, which clearly sits between Spark’s 300 grams and Mavic Pro’s 734 grams. You can fold its arms inward, just as it is with the Mavic Pro, which means you’ll have an easier time packing it or moving around with it. The foldable design also extends to the remote controller, which features an ergonomic design plus detachable control sticks. As for its camera specs, expect a 12-megapixel camera complete with a 1/2.3-inch CMOS sensor and an additional f/2.8 lens with a 35mm-equivalent focal length of 24 mm for capturing superior quality videos and photos. On top of that, it shoots video in both 4k and 1080p at 30fps and 120fps respectively. And to ensure you obtain proper exposure settings as you go about your shooting, they integrated new HDR algorithms. Another special thing about the Mavic Air is that it can stitch up to 25 photos together to create a clear and stunning 32MP sphere panorama that can be viewed from DJI Googles. This is an addition to the three other panoramas: vertical, horizontal and 180-degrees. Part of the camera set up also includes a 3-axis mechanical gimbal, its function being to make the camera more stable and flexible while filming. Mavic Air’s battery can last it up to 21 minutes in midair. The time is notably better than Spark’s 16 minutes. 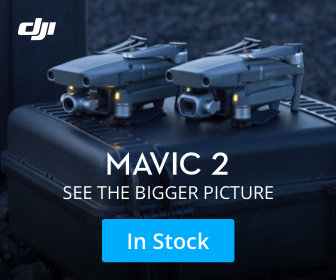 Something else worth mentioning about Mavic Air is the Flight Autonomy 2.0, which comprises a powerful sensor system that includes, among other things, a downward infrared sensing system, IMU redundancies, the primary gimbal camera, and dual-vision sensors.All of them work towards giving the drone a smooth flight performance and improving its hovering accuracy. For instance, the unit can utilize data obtained from the sensing system to construct a 3D map that enables it to locate itself with precision and accuracy. But that’s not all. Inclusion of the advanced Visual Inertial Odometry (VIO) technology doubles the unit’s precision positioning while the Advanced Pilot Assistance Systems(APAS) will keep the drone from succumbing to the sloppiness of an amateur pilot.To increase safety levels, they even added more redundant modules, in addition to the dual IMUs, plus a reliable return-to-home feature. DJI says the Mavic Air can reach a top speed of 42.5 miles per hour (68.4 kph) while it is in sports mode. This is comparatively faster than DJI Spark’s and DJI Mavic Pro’s speeds. ActiveTrack – With the help of ActiveTRack, the drone can detect a maximum of 16 selectable objects at the same instant and let you pick a tracking subject right away. QuickShots – You can select from six different QuickShots modes when looking to enhance your selfie drone videos. SmartCapture – With SmartCapture, you can operate the drone with hand gestures as you capture photos and videos in any way you prefer. DJI Mavic Air will retail at $799, but this will be entry-level package and it will only include a dedicated controller that is without a display. To get a charging hub, extra batteries, and other accessories, you’ll have to part with $999. You can place your pre-order(s). Shipping will begin around January 28th.